*Indian Hills Resort: Anglers are enjoying increasing walleye activity along the flats in 10 to 14 feet using spinners and nightcrawlers. However, don’t neglect trying crankbaits. What’s exciting is that some nicer-sized fish are starting to show up, as well. 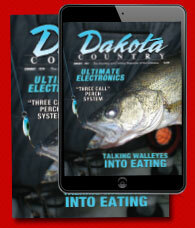 *Garrison: Work shallow throughout the east end of Lake Sakakawea using a variety of presentations for walleye. 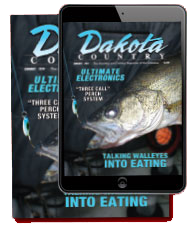 *Pick City: Lake Sakakawea remains fair for walleye but the best success continues to be around Douglas or Ellwein bays. However, anglers might also want to try Sakakawea State Park Marina or along the north shore at Steinke Bay. The best depths seem to be in 4 to 12 feet. *South shore: Work 9 to 13 around Beaver and Beulah bays for walleye using chartreuse crankbaits. *Van Hook Arm: Anglers are finding improving walleye success in 8 to 18 feet using spinners with smelt, leeches, or nightcrawlers. Work the north end of the Arm. *Missouri River: Garrison Dam average daily discharge is 21,000 cubic feet per second (CFS). Lake elevation on July 8 was 1,844.76. *Little Missouri River, Long X Bridge: The streamflow average is 603 CFS while river stage is at .83 feet. *Yellowstone River, Sidney, Mont. The Yellowstone’s river stage is 6.63 while it is flowing at a rate of 14,000 CFS.